What's Happening at the EPA? This summer we were delighted to welcome five really smart and dedicated college interns who worked tirelessly researching peer-reviewed studies on a variety of important emerging environmental health issues. They also poured through our various websites, checking links and finding new sources of scientific information. In the process, they also made a very disturbing discovery: one by one, links we had to the EPA’s website for information on chemical toxins were disappearing. It’s well known that EPA Administrator Scott Pruitt has nothing but contempt for the Agency he leads, and is a climate change denier. 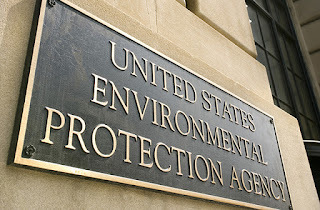 But what is going on inside the EPA is a wholesale dismantling of a vital government agency, one that provides critical information on toxic chemical exposures that can help local lawmakers and citizens alike protect their communities and families. Today’s New York Times article sheds some light on this extremely disturbing trend.